Chinese tech giant Oppo has launched their new series smartphone K1 which is exclusive for indian markets and will be available starting 12th February 2019 only on flipkart. it is first smartphone offered by any company which is coming with in-display fingerprint sensor under 17000 thousand ruppes. the smartphone is also coming with water notched display along With the gradient colour design which gives premium looks. The smartphone is powered by mid-range processor Snapdragon 660Soc coupled with 4GB of Ram and 64GB of internal storage. 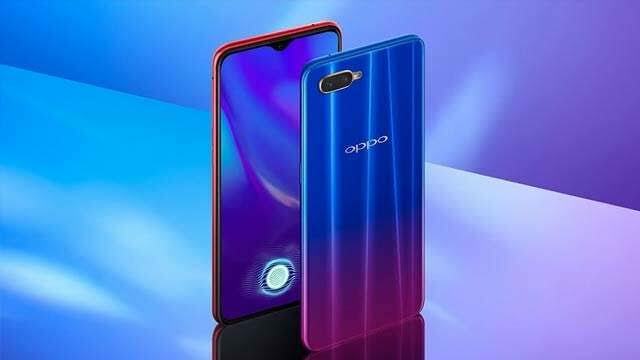 The price of all new Oppo K1 has been set at 16,990 ruppes in India for the 4GB Ram and 64GB internal storage varient. the smartphone is Flipkart exclusive and will be available starting February 12th only on Flipkart. It will be available in two colours variants, Astral blue and piano black. Oppo K1 offers a hugh 6.4inch full HD plus AMOLED display with aspect ratio of 19.5:9 and protective layer of gorilla glass 5, it is edge to edge waterdrop notched display. the smartphone comes with the support of in-display fingerprint sensor under this price. it is powered by an octa core Snapdragon 660 processor coupled with 4GB of Ram and 64GB of internal storage which can be expand upto 256GB with the support of microSD card. the smartphone has 3600 mAh battery. 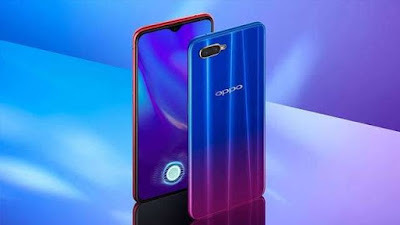 In camera section there is dual camera setup on the rear side of Oppo K1 which includes 16MP primary camera with f1.7 aperture and secondary camera of 2 megapixel which will used for depth sensing, on the front side it has 25MP selfie camera with f2.0 aperture.